Total Score: 8.00 + ULTIMATE ENTHUSIAST AWARD! 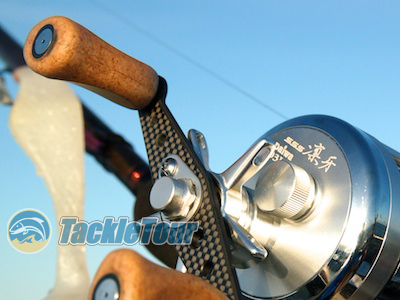 Introduction: In October of 2005, as part of the SuperCast shootout for that year, we took a look at two similar, yet distinct reels from the same manufacturer, the Daiwa I’ZE Light and RinGa SLC. 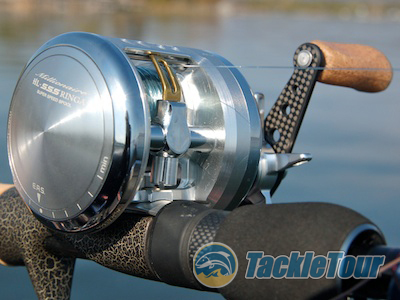 Both reels were very refined, but the I’ZE Light edged out the RinGa SLC in pitching and casting performance thanks to its superTTuned, Type-R+ rotor (a tuned version of Daiwa’s MagForce V brake system). The RinGa, having just a standard Magforce brake system just could not compete. Impressions: As with the previous version of this reel, initial release was open only to members of Daiwa’s Heartland Z club in Japan. 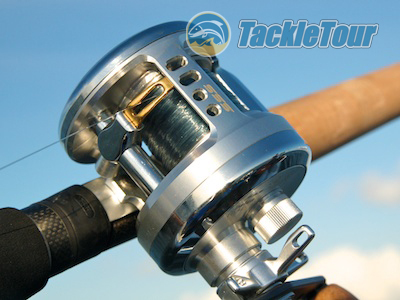 It wasn’t until roughly mid-2008 this reel became available to the general public and then, of course, worldwide via the e-tailers that specialize in carrying JDM product. On the surface, as eluded to earlier, this reel is even more refined than the previous model with its polished edges and carbon handle. Unscrew the sideplate and verify that this reel does indeed have a MagForce Z rotor – this one anodized in purple reminiscent of the rotor found on the TDZ-100M’s spool. Of course, unlike the spool on the TDZ-100M, the one on the HL-SSS Ringa is flat for greater line capacity. Field Tests: The HL-SSS Ringa has seen duty on several sticks over the course of the past year and a half including a Megabass F5 ½-70Xti Super Diablo, Phenix MBX 707H, and Dobyns Rods 804CB. I’ve used both fluorocarbon (Toray HiClass) and braid (Daiwa Samurai Braid) on this reel out on the California Delta and Clear Lake. 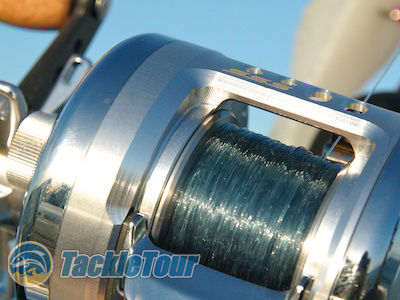 Pitching & Casting: What a difference a rotor makes. Though not quite as capable at low speed presentations as the I’ZE Light, the HL-SSS Ringa is much better than its predecessor, the Ringa HL. 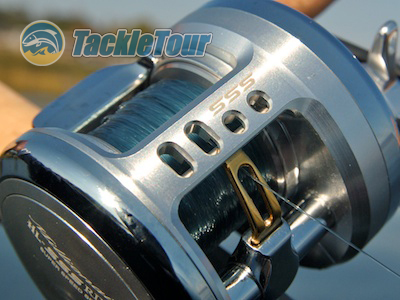 This increase in performance is thanks to the reel’s Magforce Z braking system that features a non-fixed rotor on the spool that slides in and out of the magnetic brakes in the reel’s sideplate at varying depths depending upon the rotational speed of the spool. The Ringa HL’s spool is fixed so casting performance is not as refined. The I’ZE Light’s spool is based on Magforce V, but its rotor is tuned with the Type R+ taper most recently found in the Steez baitcasting reels and introduced in 2004 with the limited edition TD-Z Type R+ suite of reels. Those who liked the form factor of the I’ZE Light but found casting performance a bit touchy (often the case in reels with the Type R and Type R+ rotor like the Steez), will really like the HL-SSS Ringa. 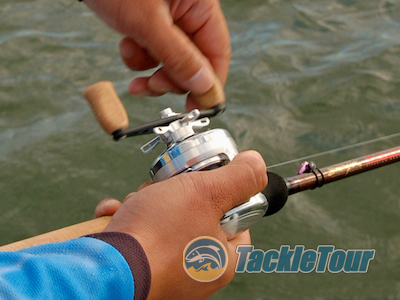 This reel casts baits starting in the range of about three eighths of an ounce on up to those weighing several ounces with ease. Measured at the point where line capacity on the reel is filled as shown above, the HL-SSS Ringa returns twenty two inches of line per turn of the handle. 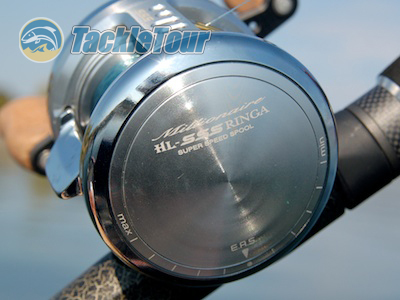 Retrieve: Once you cast your bait out, the HL-SSS Ringa will return that bait to you at a nice, steady retrieve ratio of 5.8:1 – a ratio that equates to roughly twenty two inches (22”) per turn of the handle measured with line capacity at about one sixteenth (1/16th) of an inch from the inside taper edge of the spool.